How can you share knowledge and build community among a network of scientists working around the world? Meet TeleScience, our new online platform featuring videos of lab tips and tricks to accelerate teaching and research. TeleScience is exclusively sponsored by the Life Science business of Merck KGaA, Darmstadt, Germany, which operates as MilliporeSigma in the US and Canada. Seeding Labs is one of MilliporeSigma's signature partnerships, and TeleScience takes our partnership to a new level. We're excited to share more about our partnership here! 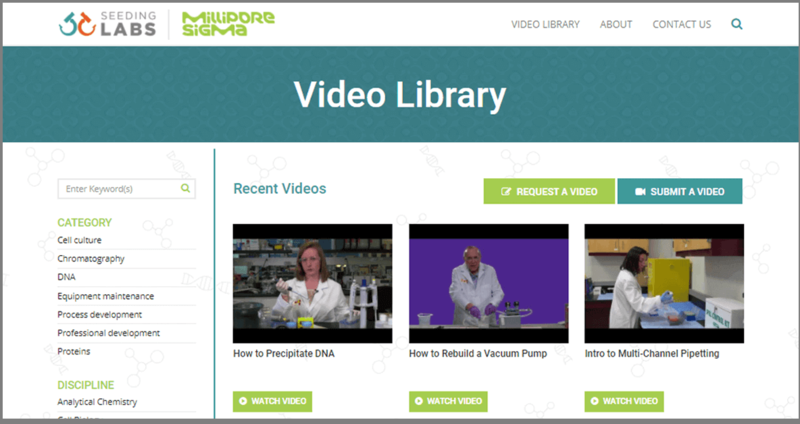 The site is an online resource for scientists worldwide, with educational videos created and led by trained MilliporeSigma employees. “We have long believed that the greatest scientific breakthroughs start with curious minds, but these curious minds need access to the right equipment and information,” said Udit Batra, CEO, MilliporeSigma. Videos offer tips and techniques for using equipment and troubleshooting problems, as well as building networking skills. You can get involved in TeleScience, too! Do you have a tip, trick, or hack that you think scientists around the world could benefit from seeing? Or is there a particular topic you'd love for a video to cover? Let us know! 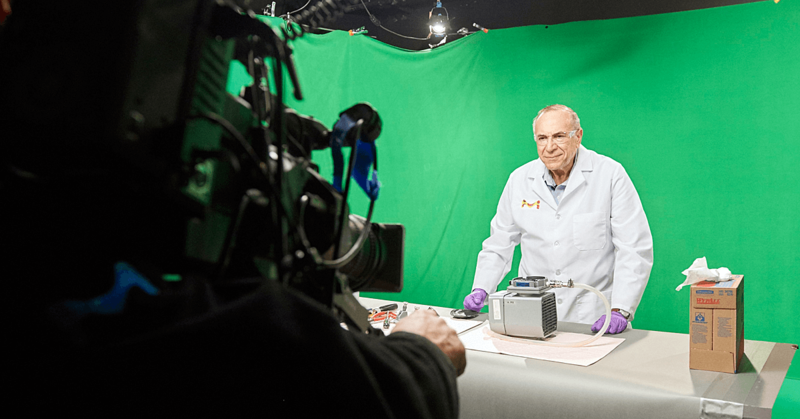 Photo at top: MilliporeSigma employee Frank Muolo films a video demonstrating tips and tricks of how to rebuild a vacuum pump for the TeleScience online platform. Watch the final product here!